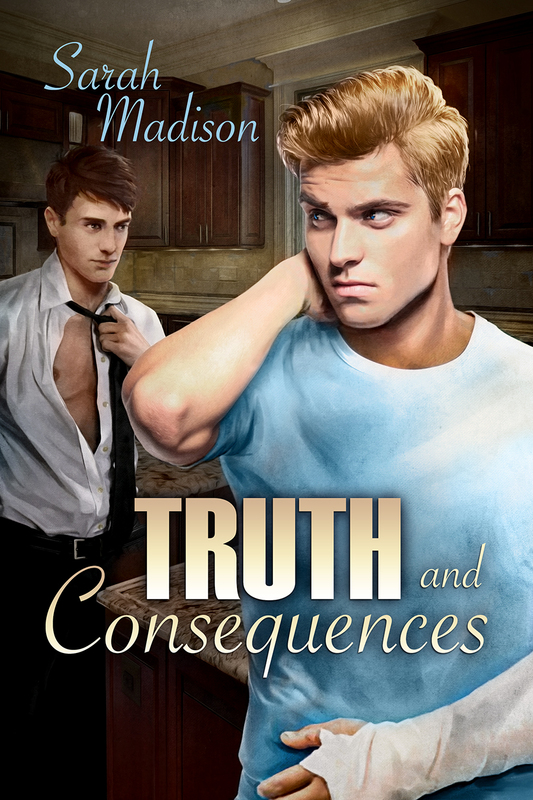 Pre-order and Sale on Truth and Consequences! I just got back from a much-needed long weekend away, and am sitting here now catching up on emails, planning my book tour for Truth and Consequences, and steeping a cup of hot tea. It’s been raining here for the past week, a sort of drizzling mist, nothing to worry about, but today we’ve been having heavy rains and thunderstorms. The storm drains are boiling with the water they cannot hold, and driving down my road causes a sheet of water to spray up over your car, making it impossible to see ahead of you. So while I wish I could have spent just one more day with my friends, I know I picked the right time to come home yesterday. I find I need a day as a buffer between traveling and plunging back into my regular life. Time to unpack, do laundry, sort through emails, restock on groceries. Time to wrap my head around getting back on the old schedule: not staying up too late laughing and talking, eating huge breakfasts in the morning, watching favorite television shows, and drinking wine around the fireplace at night. Talking about our lives, our stories, our hopes and dreams. Making runs to the craft store, decorating our journals, creating bookmarks and jewelry. It’s hard to leave the company of your tribe. I don’t get to take much time off each year, but somehow, making this pilgrimage has become a priority. But right now, I’ve got 24 blog posts to write, a book tour to organize, a WIP calling my name, and several work-related fires to put out, so down to business: Dreamspinner Press is having a 25% off sale from now until Sept 30th, which means you can buy the entire Sixth Sense series, including pre-ordering Truth and Consequences, on sale! Dreamspinner will also send your purchases to your Kindle account, so if you’ve been waiting for Truth and Consequences to be released on Amazon, wait no longer. If you’d like to read an excerpt, I’m being spotlighted over on Divine Magazine, so check out my interview and find out more about Truth and Consequences before it is released on October 14th. Afraid of missing an update? You can subscribe to this blog or sign up for my newsletter here on the website: just go to the right sidebar and scroll down past the book covers–you’ll see the sign up forms there. This entry was posted in Uncategorized and tagged discounts, Dreamspinner Press, gay romance, GLBTQ, interviews, male male romance, paranormal, promo, Sarah Madison, Truth and Consequences, writing by Sarah Madison. Bookmark the permalink.